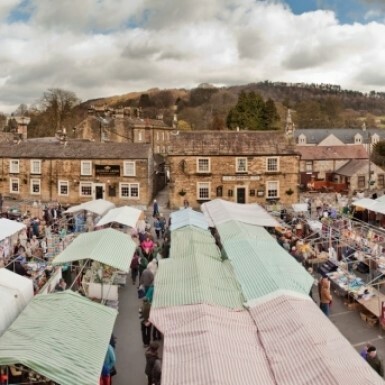 Bakewell Market is the only market in the beautiful Peak District National Park. Steeped in history with a Royal Charter being granted in 1330 the present day Market takes place every Monday, including Bank Holidays, on two sites, Granby Road and Market Street where it hosts 162 Stalls. 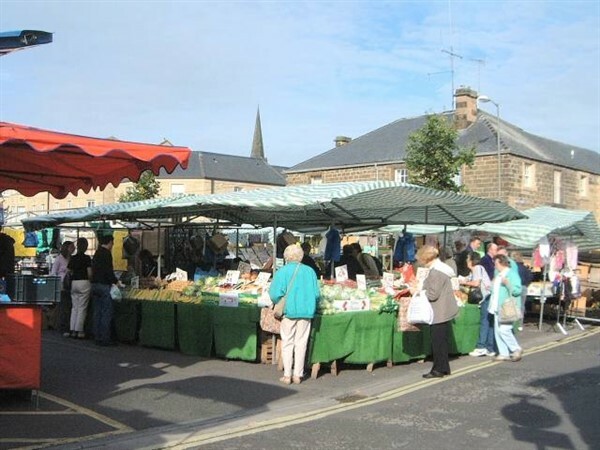 With a wide variety of goods including clothes, bed-linen, shoes, fruit and vegetables, flowers, jewellery, toys and hot food stands it gives Locals, Tourists, Day Trippers, & Coach Parties a warm welcome. The street market once sold butter, pots and pans, corn, horses, cattle, sheep and pigs. 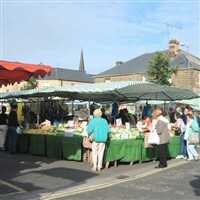 In 1826 the market was moved to a site beside the Peacock Inn (the present marketplace), to clear the streets and relieve congestion. 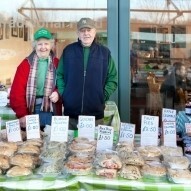 It was later confined to cattle and sheep with a stall market for food and household goods. The livestock market moved across the river to the Agricultural Business Centre in 1998. It was officially opened in February 1999. 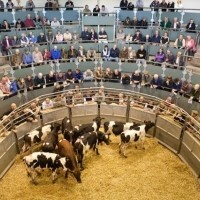 The centre is one of the most modern livestock sales facilities in the country.